Hello, and welcome to the return of the gemstone series. The first year focused on gemstones of the zodiac, and, specifically, the mystic gemstone for each sign of the zodiac. This year, we’re going to be a little more freeform. We’ll still try and focus on stones that have a connection to the month in which they are featured. However, it could be a regular birthstone, a sun sign, or have any one of a number of different connections. This way, we can focus on a wider variety of stones, and also keep your guessing as to what the next month’s topic will be. We are going to kick off this phase of the gemstone series with one of my favorite stones to use, Carnelian. Carnelian is one of the alternate stones for Taurus, making it a good stone to discuss this month. 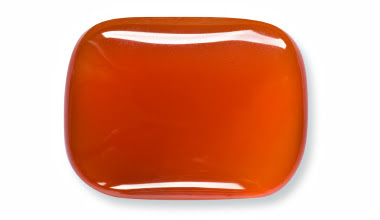 Carnelian is a chalcedony, making it a member of the quartz family. Carnelian beads dating back to between 4000 and 5000 BC were found in an archeological dig in Pakistan. Today, much of the carnelian used commercially comes from India, some from Madagascar, and a little from Uruguay and Brazil in South America. The Rajpipla mines in Gularat, India, have been producing commercial carnelian since 1500AD. They have a way of heat treating it in earthenware pots to give it its fiery red color. 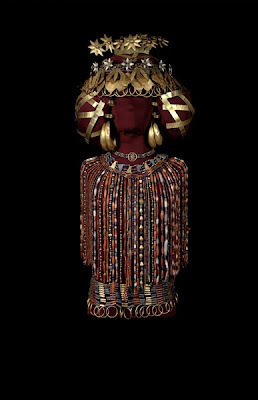 Ancient Egyptians used carnelian, lapis lazuli and turquoise most often. 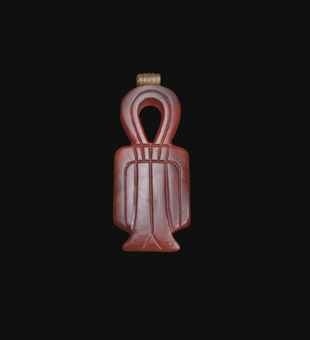 The Goddess Isis used a carnelian amulet to protect the dead. The amulet was named Tyet. It would go through a process in which is was placed on a sycamore tile, soaked in Ankhami flower water and then placed on the body of the deceased. This was done so that the soul (or Ka) could be protected from any harm while it moved on through the afterlife. 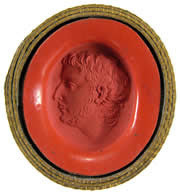 In Ancient Rome, it was used to make signet rings and seal rings, for imprinting onto the wax that sealed an important letter. 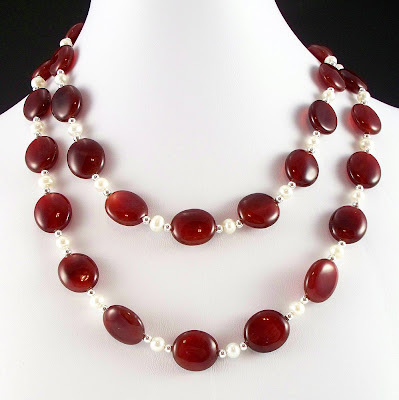 Carnelian was used because the wax would not stick to it. They also used it for cameos and intaglios. Whereas a cameo is carved on the front, an intaglio is carved from behind, so that the image is inside the stone, not on top of it. 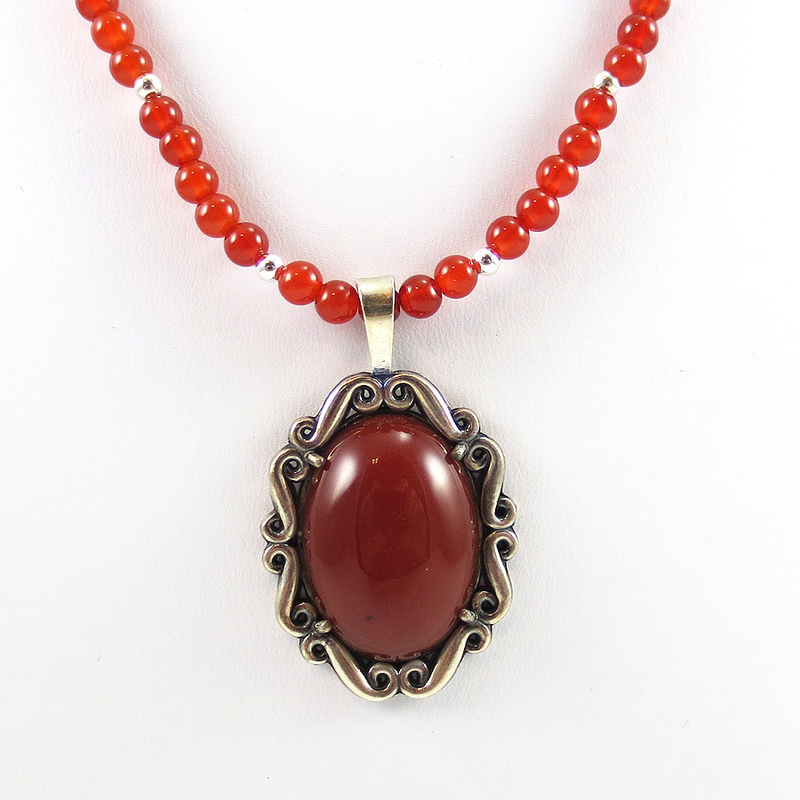 Many Muslims value carnelian as a stone that brings peace and happiness to the wearer. This is due to the fact that Mohammed wore a ring with a carnelian seal. 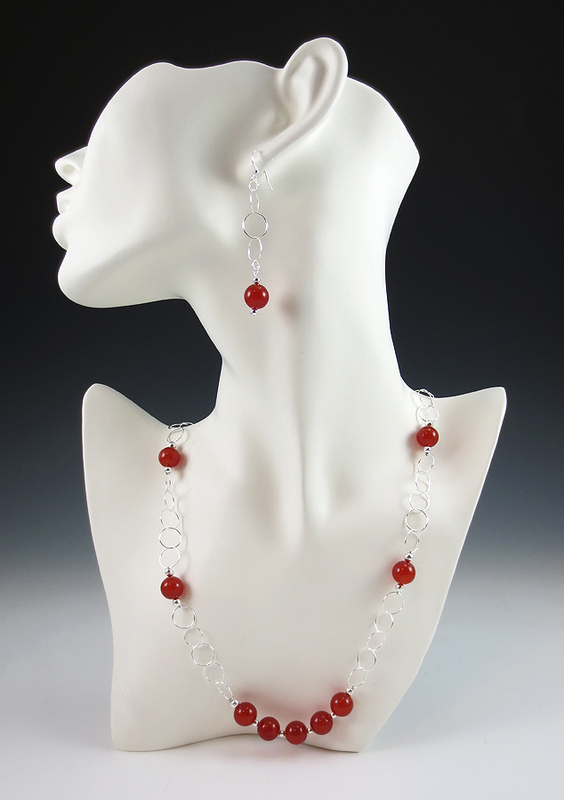 Carnelian is looked at a stone that provides strength, courage, ambition and inspiration. It has been used in decision making because of its ability to motivate and focus. It helps dispel passiveness and idleness. For those who meditate, this is a good stone for grounding you and connecting you to your surroundings. It is associated with the root and sacral chakras and can help clear out those areas and aide in getting the energy to flow through them. It is believed to protect against negative energy and ward off negative emotion. It is believed to encourage love and to bring about peace and serenity. Placed near the front door, some believe it can help keep your home a safe and happy place. The Romans used it as a symbol of courage and power. Ancient Buddhists used it for protection. 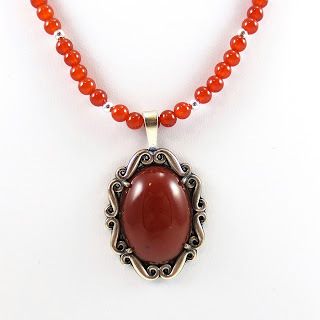 They would set it with lapis and turquoise to enhance the power of the carnelian. On a more sexual note, carnelian was used in ancient times to help treat infertility, menstrual cramps, impotency, and frigidity. 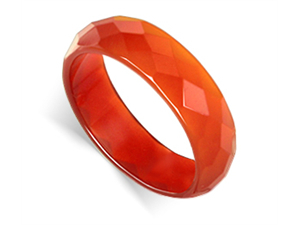 There are also interesting legends about having dreams of carnelian. Dreaming about the stone itself is believed to mean that there is a strong, positive force of energy heading in your direction. 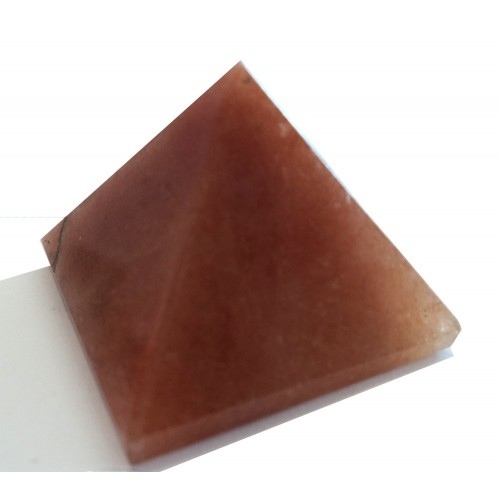 Dreaming of actually holding carnelian is thought to help you in your waking life, as it is meant to inspire you to new heights of creativity and action. For information on how to cleanse your stones, see this wonderful article by Diane Fergurson, published recently on Mind Body Spirit Odyssey.